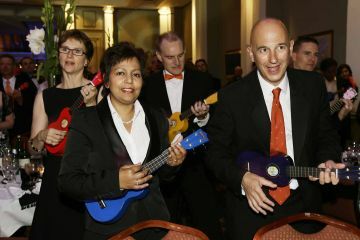 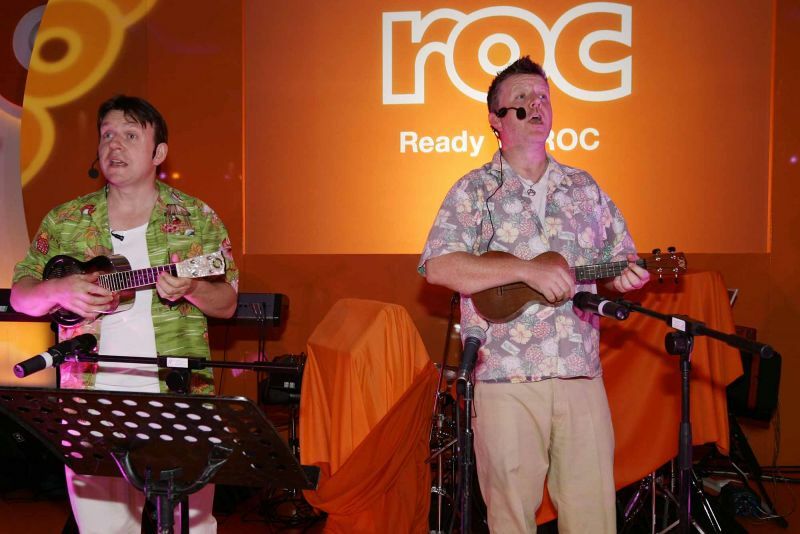 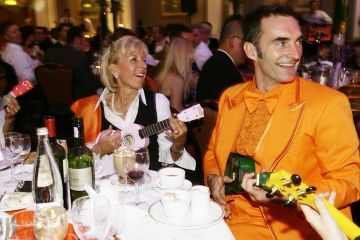 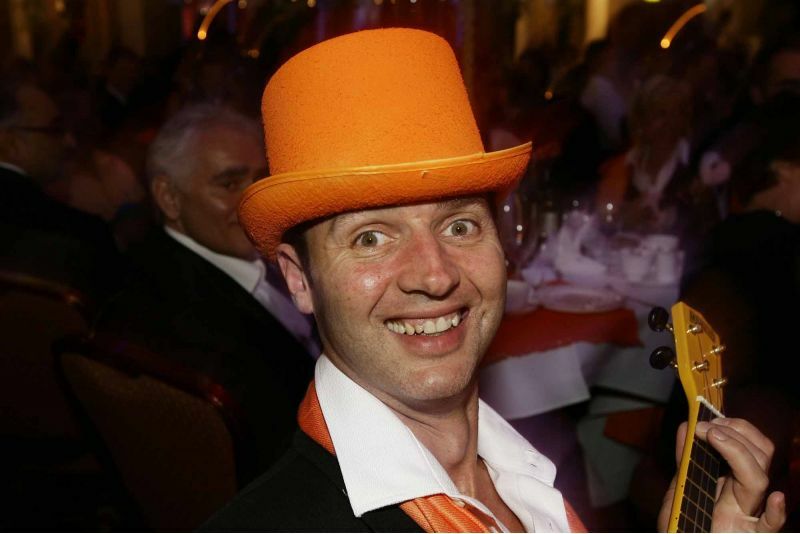 Teams learn chords, routines and well-known tunes then dress up an play ukulele together. 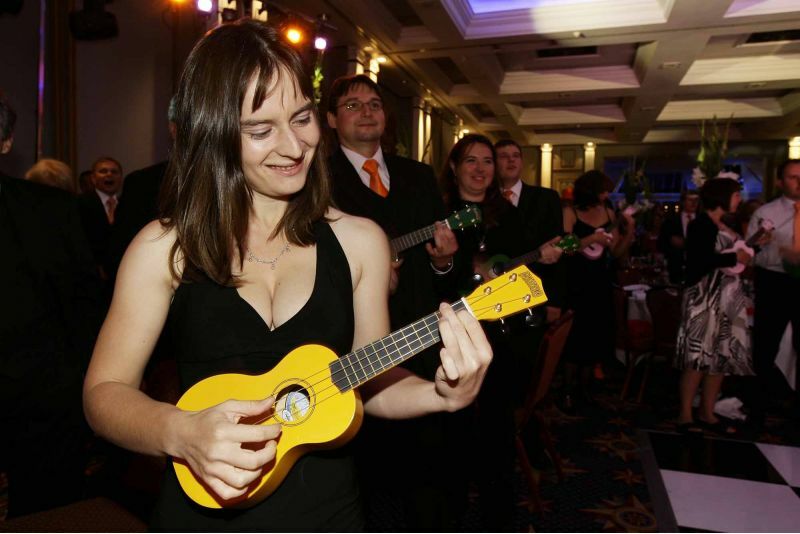 In Uke Can Do It participants are tutored by two charismatic Ukulele masters. 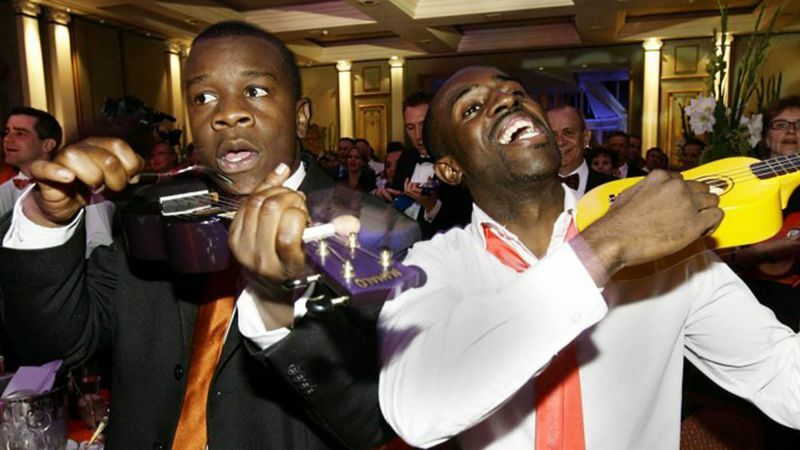 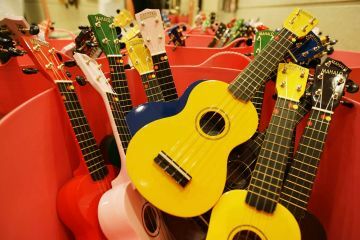 They learn chords, tricks and routines and are soon mastering well-known tunes. The climax of the experience is a rendition of a Hawaiian song complete with chants, dancing and traditional floral leis. 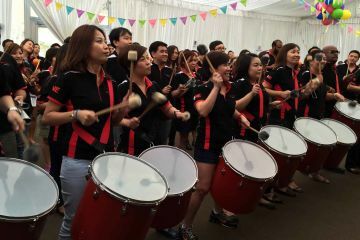 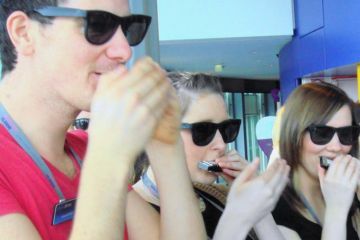 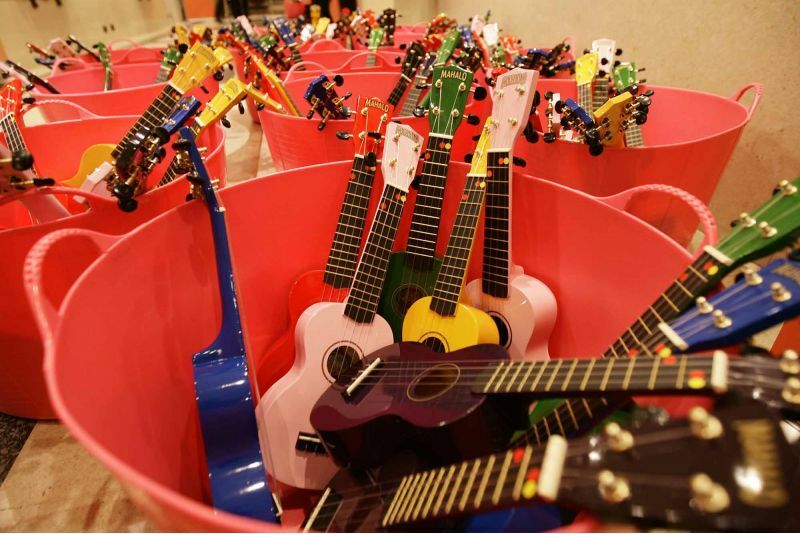 After 30 minutes of this high-energy and rewarding experience the participants will have proved that they ‘can do it’ and will be hooked on the happiest instrument in the world. 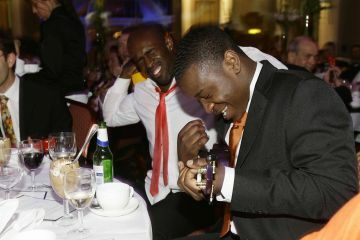 Music is renowned for releasing stress, being uplifting and creating unity. Uke Can Do does just that with a fun and happy instrument, the Ukulele. t’s a fantastic tool to kick-start a meeting or raise energy levels after a break. Energiser, icebreaker and team building session all in one. 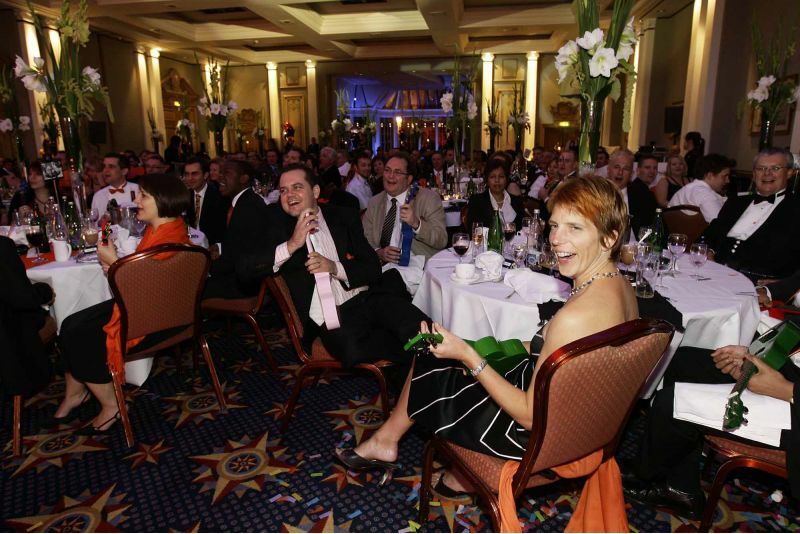 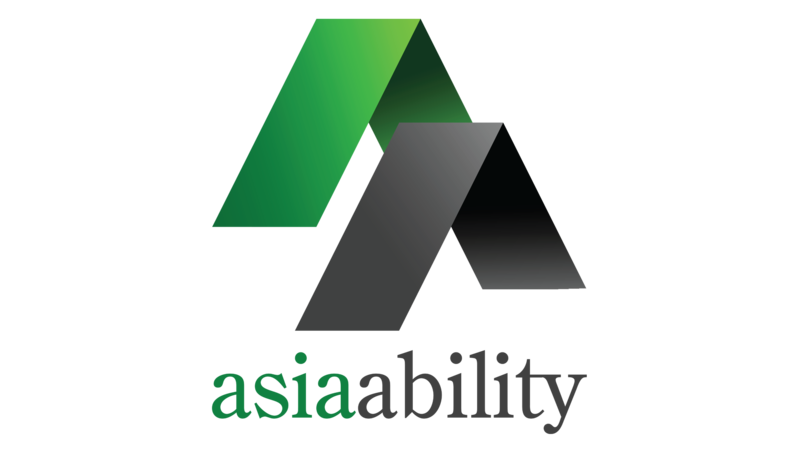 This event creates a strong sense of personal achievement. 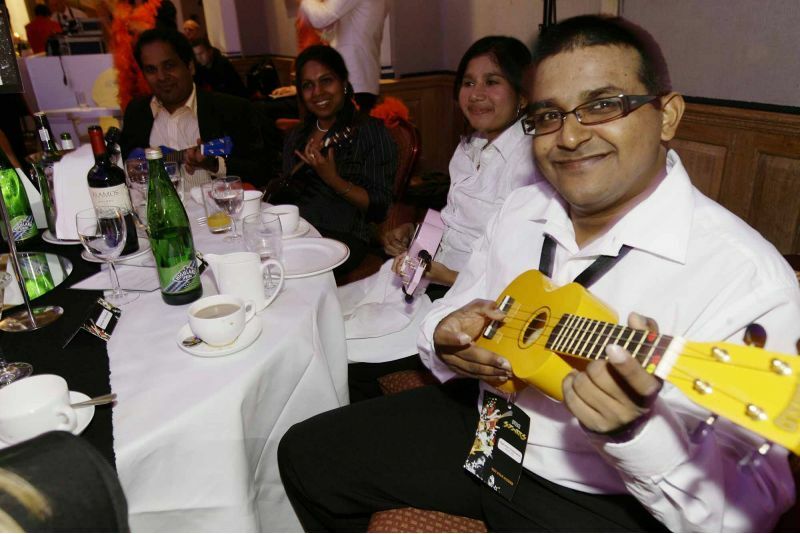 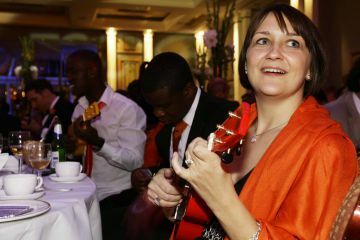 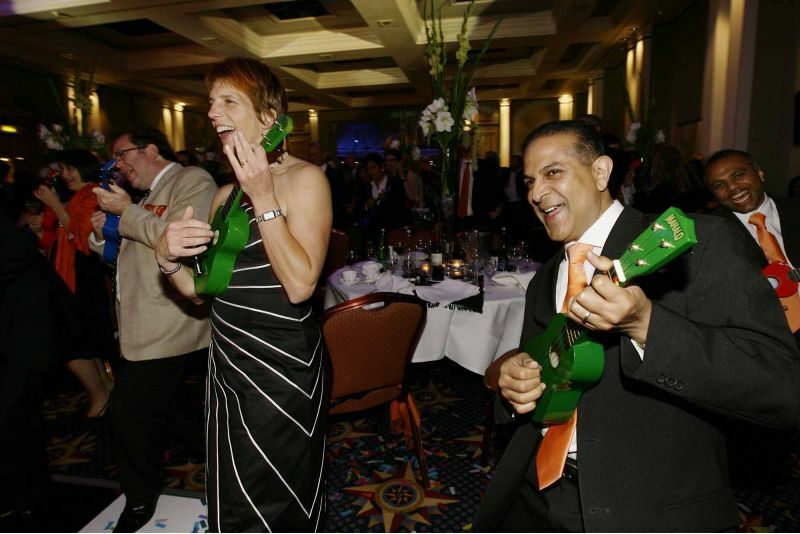 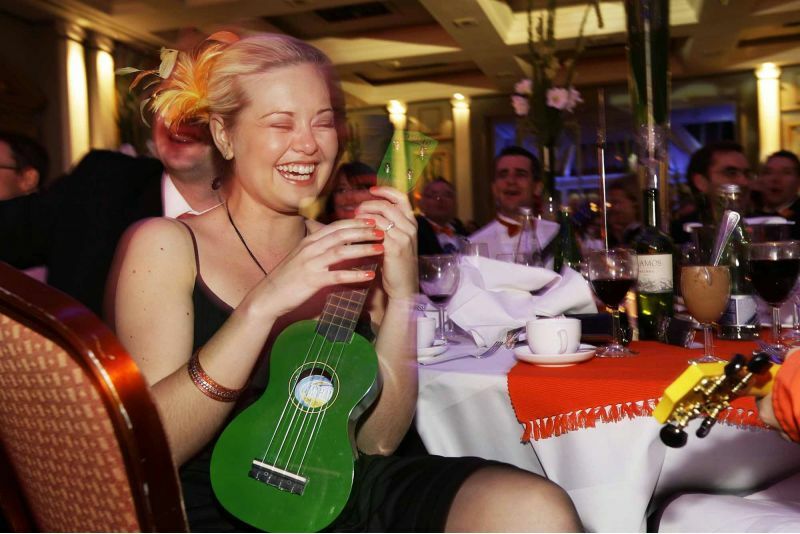 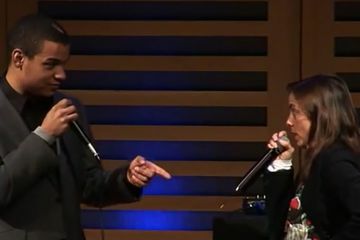 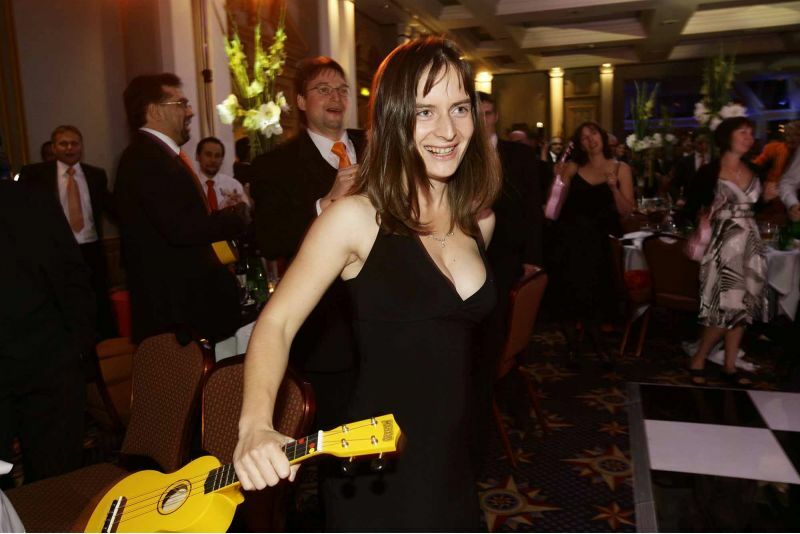 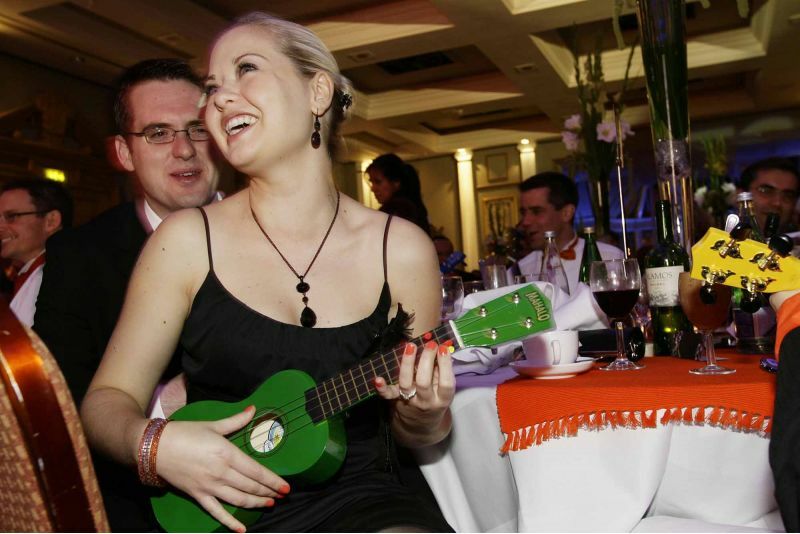 As an option, participants can take away their very own specially branded Ukulele. 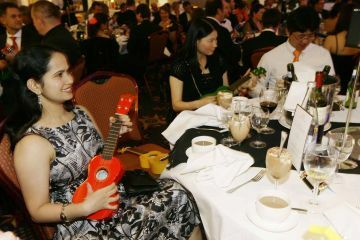 Playing the ukulele together, sparked up the evening got everyone learning a new skill and laughing and having fun together.